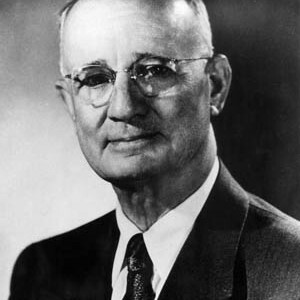 Napoleon Hill (October 26, 1883?November 8, 1970) was an American author who was one of the earliest producers of the modern genre of personal-success literature. His most famous work, Think and Grow Rich, is one of the best-selling books of all time. In America, Hill stated in his writings, people are free to believe what they want to believe, and this is what sets the United States apart from all other countries in the world. Hill considered freedom, democracy, capitalism, and harmony to be important contributing elements. For without these, Hill demonstrated throughout his writings, personal beliefs are not possible. He contrasted his philosophy with others, and thought Achievement was superior and responsible for the success Americans enjoyed for the better part of two centuries. Fear and selfishness had no part to play in his philosophy, and Hill considered them to be the source of failure for unsuccessful people. The secret of Achievement was tantalizingly offered to readers of Think and Grow Rich, and was never named directly as Hill felt discovering it for themselves would provide readers with the most benefit. For according to Hill, 98% of people had no firm beliefs, putting true success firmly out of reach. Hill's numerous books have sold millions of copies, proving that the secret of Achievement is still highly sought-after by modern Americans. Hill dealt with many controversial subjects through his writings including racism, slavery, oppression, failure, revolution, war and poverty. Persevering and then succeeding in spite of these obstacles using the philosophy of Achievement, Hill stated, was the responsibility of every American.